Join us on January 27 for Multicultural Children’s Book Day! 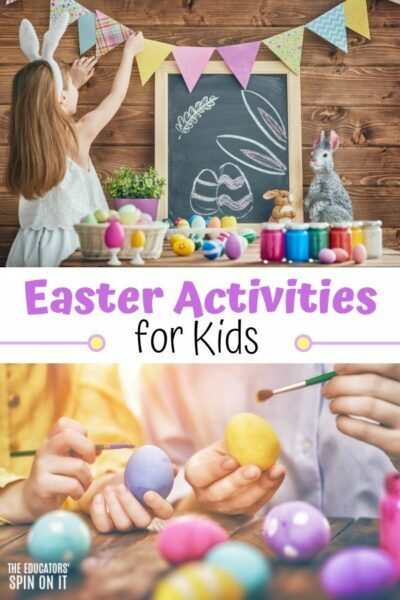 Discover children’s picture book authors and publishers focused on providing books with diverse characters and stories along with bloggers sharing reviews and creative activities to go along with them! Plus a chance to win a book bundle too packed full with multicultural children’s books! 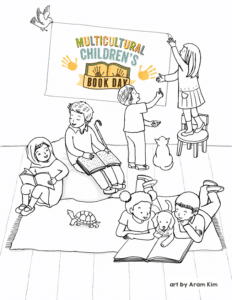 Here’s how to participate in Multicultural Children’s Book Day! Downloadable Event Poster available here to PRINT. 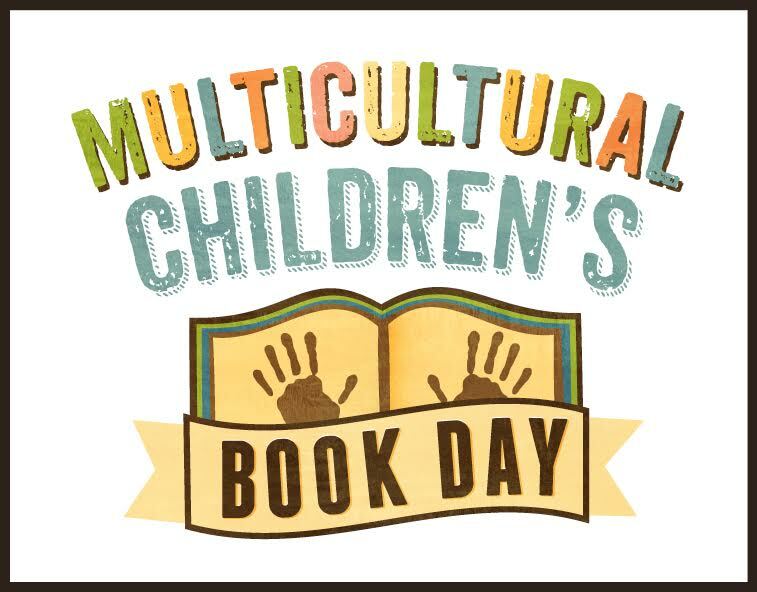 I wanted to share something with you that I’ve been a participating with on our website The Educators’ Spin On It over the past few years called Multicultural Children’s Book Day. 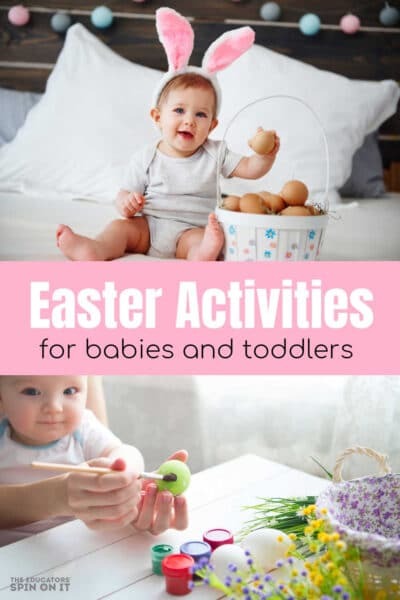 It’s celebrated every January 27 but many schools, libraries and families will be celebrating it all of next week since it falls on a Saturday this year. I wanted to see if perhaps you might be willing to join me in participating? Print the EVENT poster for your location here. Can you SHARE about this special day with your local community with friends, family and even in your local book stores, libraries and schools? There is a printable poster for the global event available as well to PRINT and SHARE or EMAIL a link to this article. The focus is on bringing attention to all of the amazing children’s books available that celebrate diversity. Here’s a list of Multicultural books that you could read with your child. Hopefully we can encourage these diverse books to be displayed proudly in your library or teachers in their classroom bookshelf to celebrate the day! Multicultural Children’s Book Day Bookmark! I created a bookmark that you can PRINT to keep as a keepsake for participating with us in Multicultural Children’s Book Day! I’ve created it as a set of 3 to print so you can keep 1 and share with a few friends or print for your child’s class! Perfect for teachers to print too for their students! PRINT HERE! 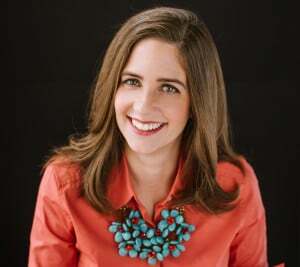 There will also be many bloggers and educators from around the world sharing the featured Multicultural children’s books this year along with their reviews and book activities to celebrate this multicultural books. 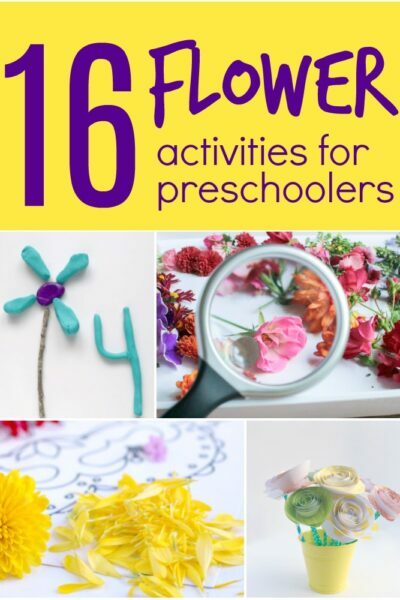 Here’s the books & activities from 2017’s event. 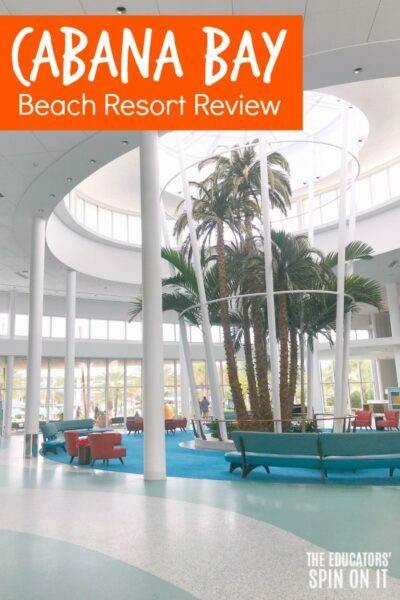 At the end of this post you can see this year’s Book Reviews for 2018. Check out this year’s talented authors who’ve written our featured diverse books. Plus check out the generous sponsors who are supplying all of the books for this year’s event! Check out all the other MCCBD CoHosts too! 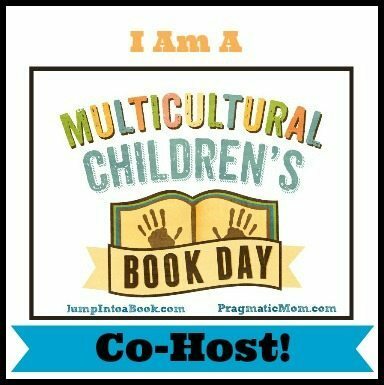 Multicultural Children’s Book Day Twitter Party 1/27 at 9pm EST. 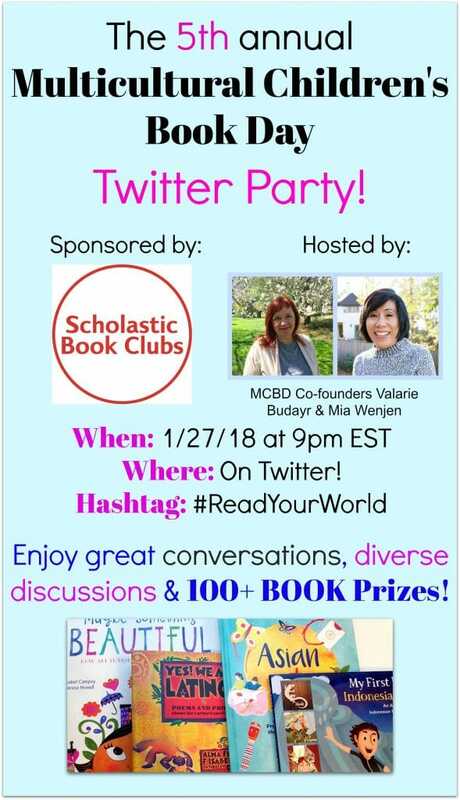 I’ll be participating a twitter party with the hosts and would like to invite you to participate and perhaps ENTER TO WIN on of 12 diversity book packages for your home or school. The chat is on January 27 at 9pm EST. You can see the questions and book bundle prizes here. Participants can use the hashtag #ReadYourWorld to find & join the party on Twitter. 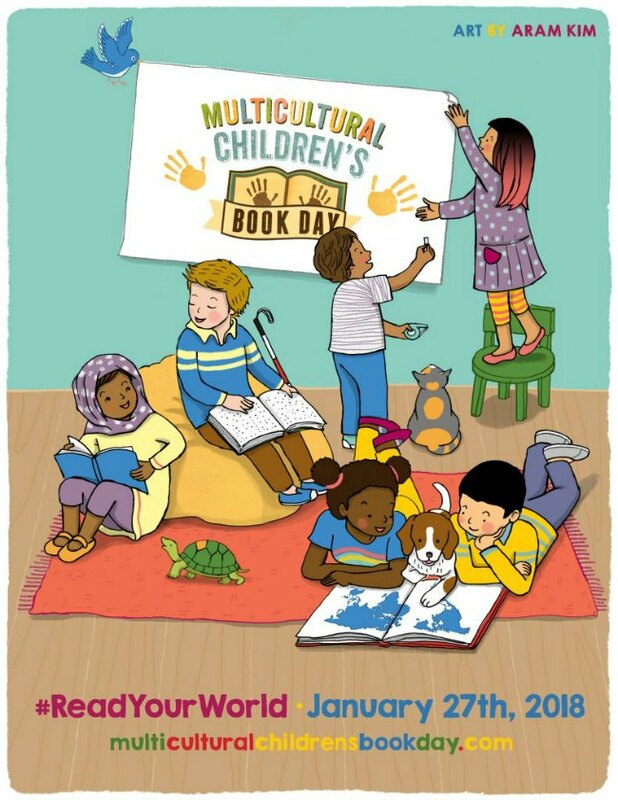 If you have any pictures to share of your local schools or community celebrating Multicultural Children’s Book Day please feel free to share on social media with the hashtag #ReadYourWorld AND/OR EMAIL to me at info@theeducatorsspinonit.com so I can feature them on The Educators’ Spin On It.com highlighting families, libraries and schools celebrating Multicultural Children’s Book Day. 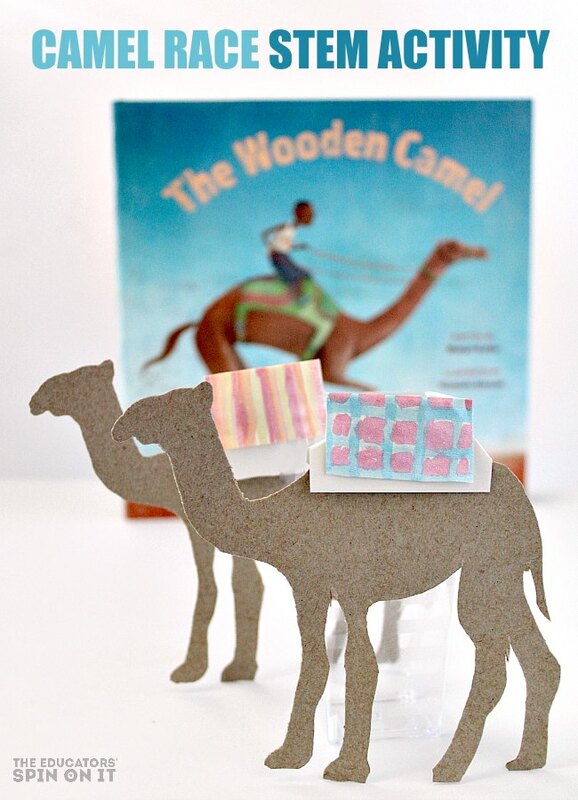 Here’s our book review for this year’s event about the book The Wooden Camel. 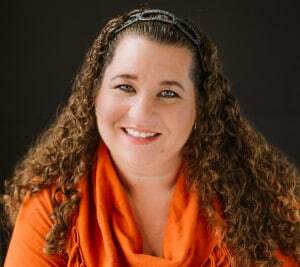 to connect organizers, sponsors, co-hosts, bloggers, and others interested in expanding awareness of, and promotion of multicultural children’s books via our Twitter Party. a chance for students, educators and parents to celebrate diversity and multicultural books in locations where they are needed. CONNECT: Use hashtag #ReadYourWorld for social media. Thanks for working to ensure that every child can see themselves in the books they read as the explore the world and it’s diverse culture. 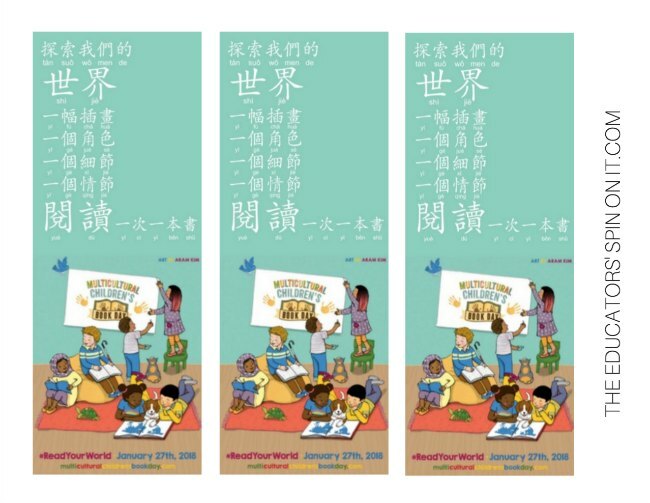 DOWNLOAD AND PRINT YOUR #ReadYourWorld BOOKMARK HERE! Win diversity book bundles at our Twitter Party tonight! 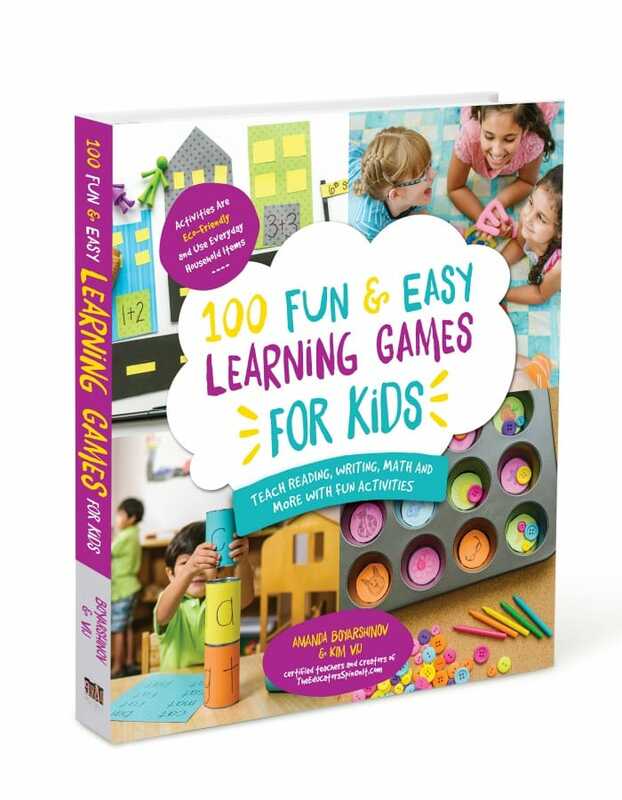 We’re giving away 100+ children’s books from 9pm to 10pm EST 1/27/18 at 9pm. RSVP here. Use hashtag: #ReadYourWorld. Buy a copy-support a teacher. Grab your a copy of Read Your World: A Guide to Multicultural Children’s Books for Parents and Educators.